07 Jan Kinected at HealthCorps! For a second year Kinected has participated in the annual HealthCorps Health Fair at the James Baldwin School and Humanities Preparatory Academy, held last month. HealthCorps is a national non-profit founded by Dr. Oz and his wife, and is currently in 66 high schools across the nation, aiming to educate students on the vital role health plays in their lives. Set up as an “Around the World” Health Fair, the student-run event offered fun activities and healthy snack stations that kept students engaged while learning about the benefits of living a healthy lifestyle. What was the set-up like? 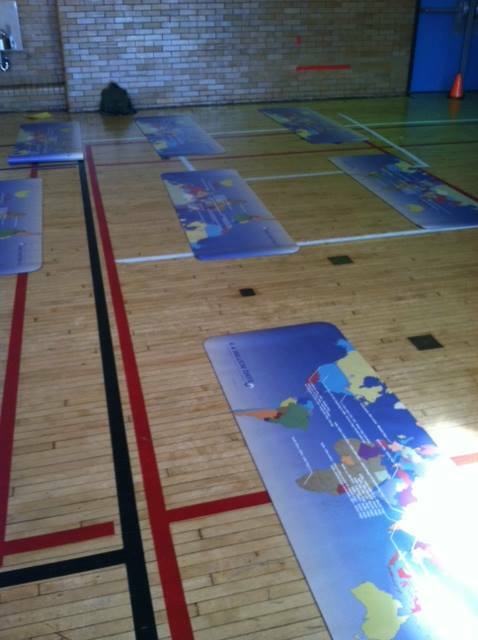 The room was set up in a large gym with stations around the perimeter. They had other stations about the importance of sleep, healthy eating, a yoga station, a cycling station and so on. They even had a station where the students got to guess how much sugar was in various commercial drinks by assigning plastic bags with measured amounts of sugar in them to show just how much sugar they are actually consuming with one beverage. Almost everything was interactive and got the kids talking about different issues. Kinected’s station was right at the center. Not only were the students asked to move their bodies in a new way, but they were asked to do so in the center of a room with their peers watching them! However, once the ice was broken and we got a handful of students to try it, they jumped in just fine. How did the students respond to Pilates? The students responded well to basic stretches that they may have seen a version of before; then, I’d give them a different approach like adjusting their posture before they do the stretch. They really liked thera-band exercises both sitting and standing. The balance-challenging work standing with the thera-band also really kept their attention. What was their favorite exercise/how did they react to the exercises you had them do? When I had groups of boys we kept it fun by having a plank contest and I played too. They were surprised at how long I could hold the position with them. See how strong Pilates can make you? Did you get a chance to talk with any of the students about Pilates and if so, were they curious/interested in trying it out and possibly taking a class in the future? I did get some time to talk with the students. Some of them mentioned they’d like to try Pilates in the future and others just wanted to chat and learn more about me and what I do. I feel like the important thing about the event wasn’t so much that they left wanting to try Pilates right away but more that they were introduced to a new physical method that they will now have as a reference in the future. 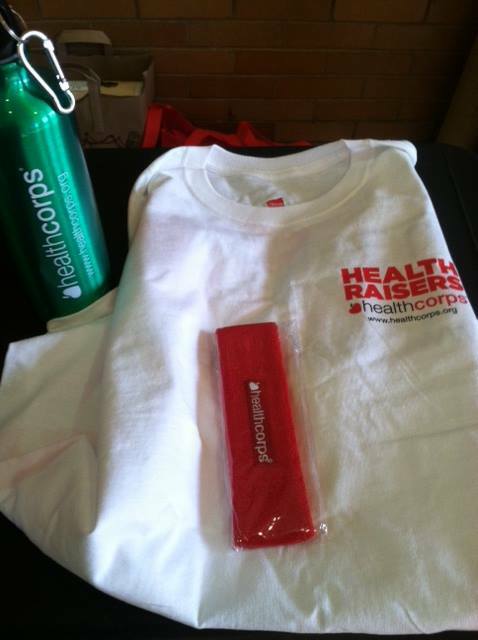 You can find out more about HealthCorps and ways you can get involved here.